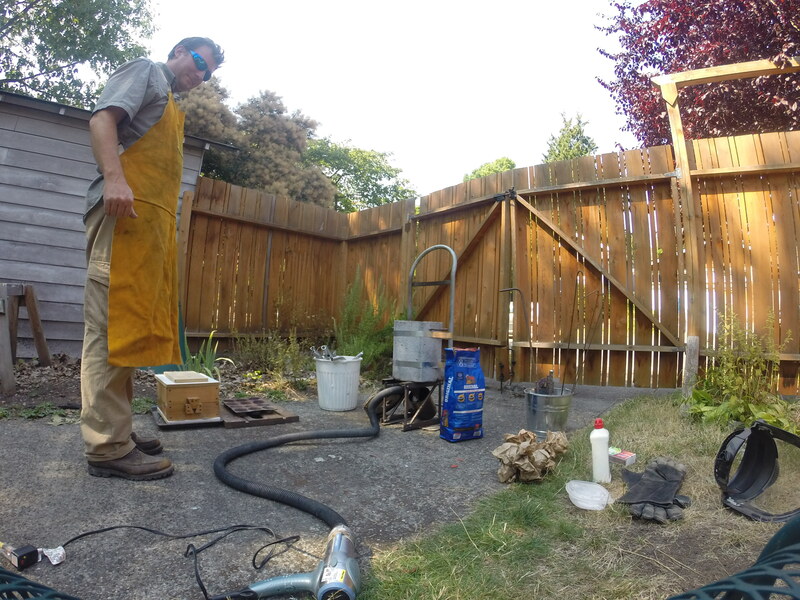 Today another in my ongoing, seldom-updated series of posts about building my own backyard foundry. Today I’ll describe how the final step works: actually melting and pouring the metal. First, see my previous post on how to make a green sand mold. Today another episode in my seldom-updated series about building a home aluminum foundry.